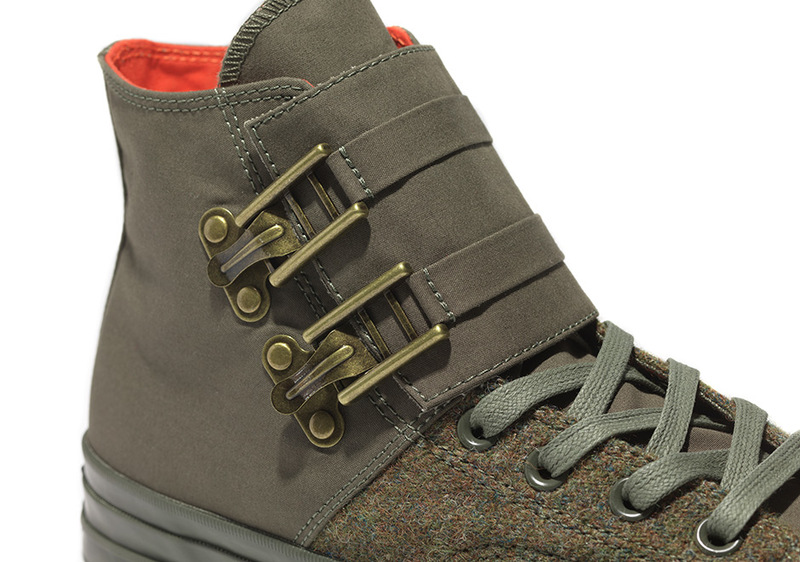 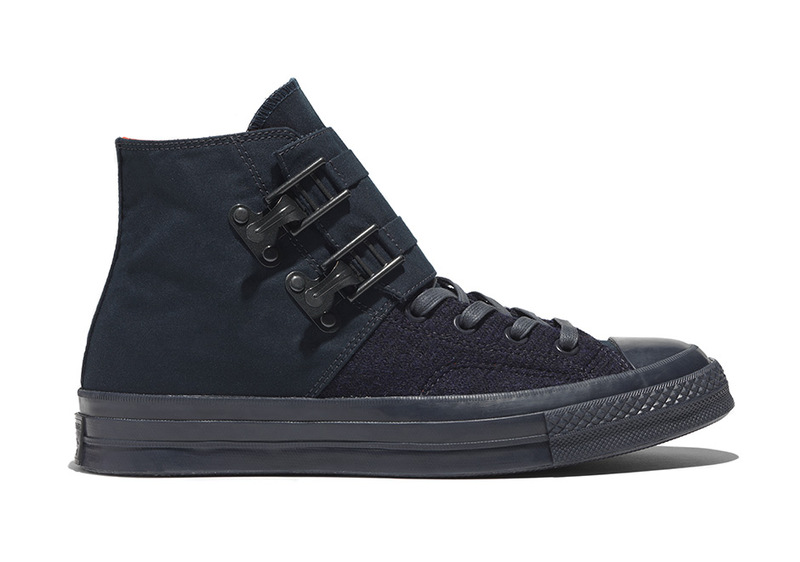 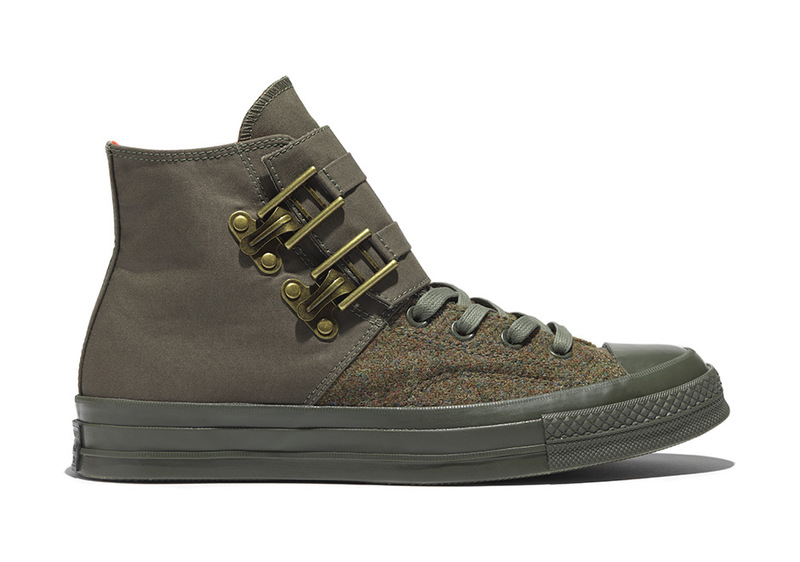 Converse teams up with British designer Nigel Cabourn for a workwear-inspired interpretation of the Chuck Taylor Hi. 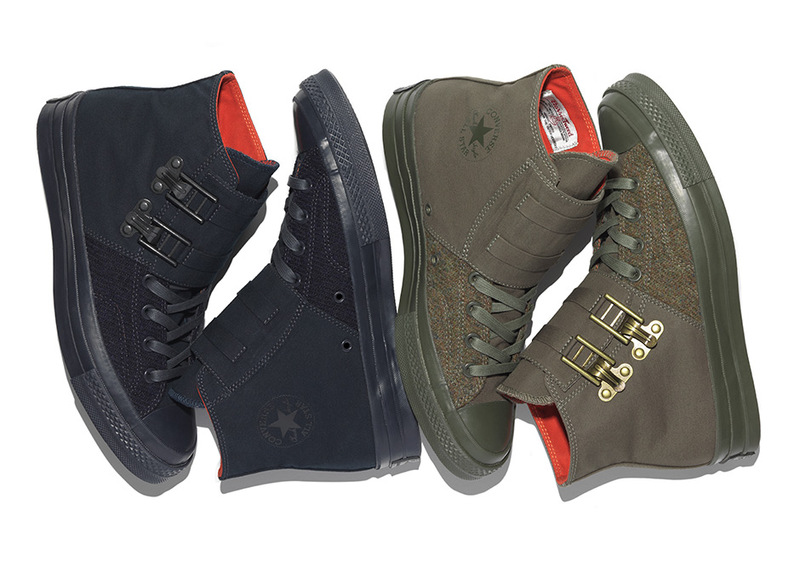 Arriving in two colorways of dark navy and military green with orange inner linings, the Nigel Cabourn x Converse Chuck Taylor Hi features heavy-duty “fireman” buckles, a nod to Nigel’s signature cameraman’s jacket, as well as release Ventile ® and Harris Tweed fabric upper to keep you warm and dry. 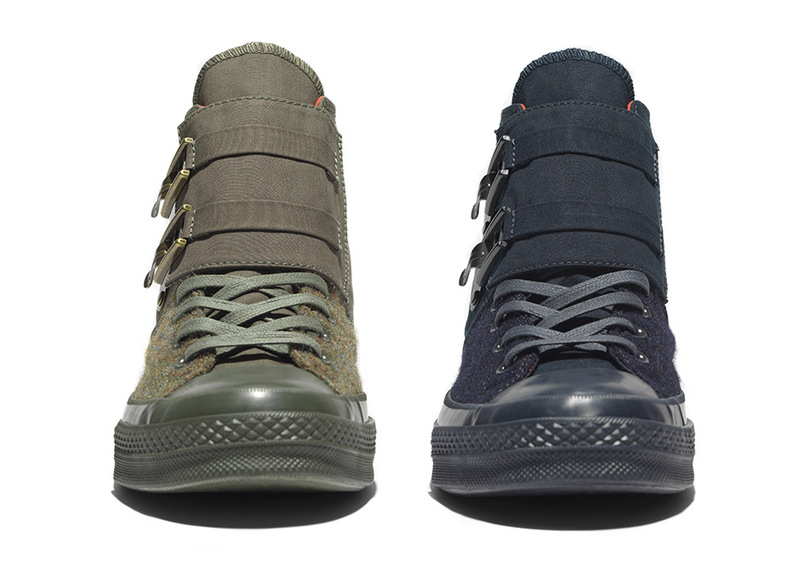 Designated a First String release, this collaboration will release on October 28th at the highest tier Converse retail accounts around the globe. Get a detailed look just ahead.